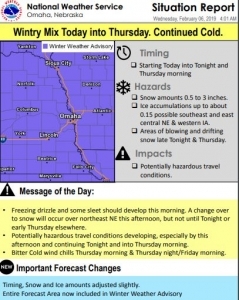 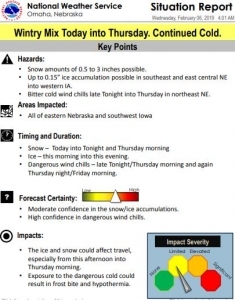 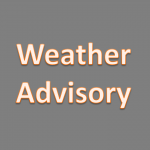 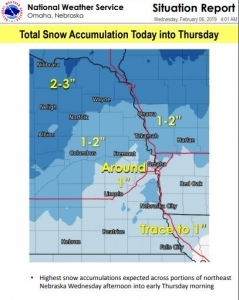 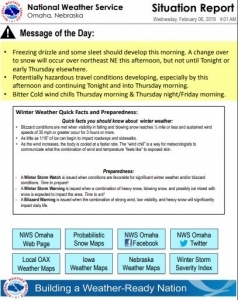 Mixed precipitation expected today, then changing to light snow tonight. 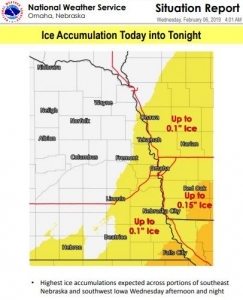 Total snow accumulations of around one or two inches and ice accumulations of a light glaze are possible. 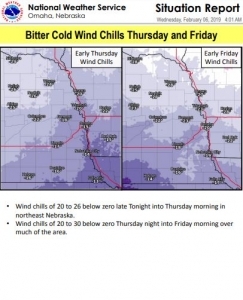 Winds could gust as high as 40 mph on Thursday.